THE TELEGRAPH UK: The Ghosts in Our Machine: ‘It’s not a finger-wagging movie outing farmers’: An unflinching new animal documentary takes us inside factory farms and fur facilities. But its director Liz Marshall says she is trying to educate, not shock. ANIMAL LEGAL DEFENSE FUND: The Animal Legal Defense Fund interviewed renowned filmmaker, Liz Marshall, at the 2014 Animal Law Conference. Jennifer Molidor. 12.31.14. MOVIMIENTO 5 STELLE: The Ghosts In Our Machine: Quando lo Sguardo Animale Illumina Le Nostre Ombre. Maurizio. 11.16.14. WAKE UP WORLD: This cinematic, feature length documentary brings hope to a world where the veil has been pulled firmly over our eyes. Trinity Bourne. 11.01.14. MASSLIVE – THE REPUBLICAN: My world is bigger, because I see animals now, everywhere, whether they are the invisible ones, hidden within industries, or whether they are the birds and squirrels around me each day. George Lenker. 09.09.14. WRITING. RUNNING. ANIMALS. FEELING: The Ghosts in Our Machine is an elegy. A plaintive poem, a funeral song and lament for the dead. Alex Lockwood. 08.27.14. HERRIE: The Ghosts In Our Machine Op 30 September Bij de BOS. 08.14.14. JOURNAL FOR CRITICAL ANIMAL STUDIES: Review: The film often focuses on the faces, and in particular the eyes, of nonhumans. This is quite effective, as the suffering and fear of captive animals contrasts with the contentment of animals living peacefully on sanctuaries. Steve Kaufman. 08.14. THIRTY SOMETHING VEGAN: The Ghosts In Our Machine – London Premiere. It is a gentle film, not designed to shock, but to inspire. 07.20.14. CHARLIEBITMYTOFU: The Ghosts In Our Machine comes to the UK. It’s a doc that challenges the blindness which we all have (including us Vegans I’m afraid, no matter how hard we try) about the scale of animal exploitation making the modern world go round. Charlie Phillips. 07.09.14. THE IRISH EXAMINER: Exploring our complex relationship with the animal world. “A new film highlights how our relationship with animals needs to evolve…”. Suzanne Harrington. 07.13.14. IT’S GOT VEGAN IN IT: “The Ghosts In Our Machine” — My Review. Whether under duress or romping freely at the farm, all the animals in the documentary tug at our heartstrings. Melissa Ratti. 07.02.14. KALW: Your Call: What Rights Should Animals Have?  On today’s Your Call, we’ll have a conversation with filmmaker Liz Marshall and photographer Jo-Anne McArthur about the documentary film, The Ghosts in Our Machine. Malihe Razazan. 05.18.2014. HAPPYCOW: Inspirational Documentary. This cinematic, feature length documentary brings hope to a world where the veil has been pulled firmly over our eyes; in a society where most people would rather rather bask in comfort, blinded to the truth. Trinity Bourne. 05.12.14. EHABITAT: “The ghosts in our machine”, il docu-film che rende più umani gli animali in anteprima a CinemAmbiente. Eleonora Anello. 05.10.14.  SAGE MAGAZINE: Discovering The Ghosts In Our Machine. The film gives the viewer room to draw their own conclusions – its moral imperative lies in-between-the-lines. Uta Jurgens. 05.06.14. ENCYCLOPEDIA BRITANNICA ADVOCACY FOR ANIMALS: An Interview with Liz Marshall, Director of The Ghosts In our Machine … a lacerating but profoundly sensitive look into what so much of the world is inured and protected against seeing. Marla Rose. 05.05.14. I EAT GRASS: View The Ghosts In Our Machine Online: Marshall’s manner of fusing social and environmental justice themes with character-driven storytelling comes from her heart for issues that really matter. Elyssa. 04.10.14. ANIMALS TODAY RADIO: The Documentary film, the Ghosts In Our Machine: Eye muscle surgery on rabbits: What did it prove? 04.7.14. RUNNING ON VEGAN: The Ghosts In Our Machine reminded me why I am an animal rights advocate and why I fight every day for the magnificent creatures that share this earth with us. Alison. 04.02.14. VEGAN SOCIAL JUSTICE: The Ghosts In Our Machine: A review. This film dares to tell the stories of nonhuman animals in an emotional way. 03.19.2014. 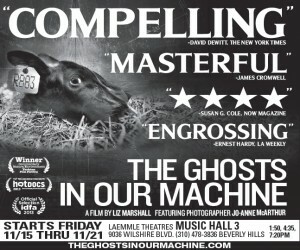 VEGAN SPIN: Movie Review: The Ghosts In Our Machine. The movement from despair to hope is a beautiful one, and very effective. Nichole Dinato. 03.14.14. TALKING ANIMALS: Liz Marshall, Director of “The Ghosts In Our Machine.” Duncan Strauss. 03.05.14. PRIDE SOURCE: Powerful Documentary Focuses on animal Rights. Tracy Baim. 02.27.14. VEGAN STREET: Film Review: The Ghosts In Our Machine by Liz Marshall. I am not sure where to start here. I was so touched by The Ghosts in Our Machine that even though I’ve seen it three times now, I am still seeing layers of complexity that I hadn’t noticed before. Marla Rose. VEGAN ACT: The Ghosts in Our Machine is a beautiful, poignant anthem to lost souls – ours and the non-human animals brutalised by global capitalism and our rush to consume without empathy or conscience. Clare O’Sullivan. CINEMABLOGRAPHER: THE BEST CANADIAN FILMS OF 2013 (#4): “Marshall takes the scope of the cinematic image to its greatest power as she follows photographer Joanne McArthur capturing animals in captivity to create provocative photo essays on the relationship between humans and animals. CHICAGO READER: “…Marshall works overtime to realize it onscreen, focusing tightly on the emotional lives of exploited animals as they plod through their miserable existences to slaughter.” J.R.Jones. VEGAN RABBIT: “It is an incredible, mesmerizing, immersive homage to the billions of animals whose lives are caught up in the insanity of a system that treats them as mere production units. The film’s unhurried cadence allows you to surrender to every layer of emotion as you become a part of a world that is hidden in shadows”. 11.11.13.